It’s almost as if 2016 never happened. Today is September 25, 2017, and we are, yet again, discussing the use of personal email accounts for government work. And this time, the headlines aren’t about former Secretary of State and presidential candidate Hillary Clinton and her private email server. 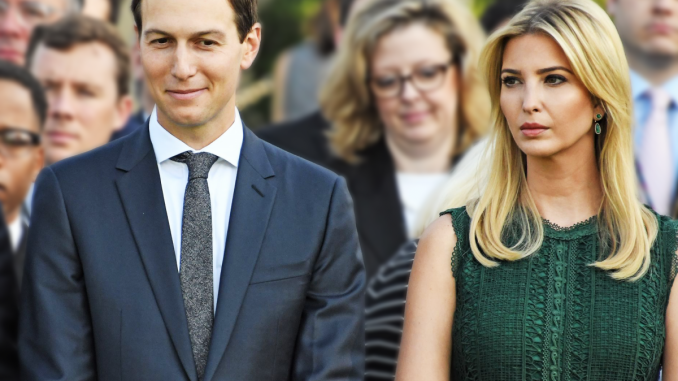 Two of President Donald Trump’s closest confidants — his daughter Ivanka and her husband, Jared Kushner — are now in the news for using private emails to conduct White House-related business of their own. Newsweek reports that on February 28 the first daughter used a private email address — where she identified herself as “Ivanka Kushner” — to communicate with Linda McMahon, the head of the U.S. Small Business Administration. She emailed McMahon and two other federal employees, Dina Powell and Julie Radford, to discuss how the agency could collaborate with her on issues related to women’s entrepreneurship. At the time, Ivanka did not have an official role in the White House. When she used the personal email address, she was serving in an unofficial capacity, helping host a meeting between the White House and Canadian Prime Minister Justin Trudeau to discuss women’s businesses and was part of Business Advisory Council meeting. She got a West Wing office and the title of “special assistant to the president” almost a month later. Since then, she’s sought to carve out a portfolio focused on workforce development and education, including today’s announcement of a $200 million grant initiative aimed at expanding access to STEM and computer science in schools: “Our goal is for every student across our country, from our rural communities to our cities, to have access to the education they need to thrive in our modern economy,” she told reporters on a call previewing the announcement. The irony of it all, of course, is that Clinton’s private email use was one of Team Trump’s main talking points throughout the 2016 campaign — and one that appears to remain top-of-mind for the now-leader of the free world. As recently as this month, nearly a year after the election, the president himself went on his umpteenth Twitter tirade on the topic. Given that, we’re betting Ivanka and Jared wish there was an “unsend” button to press right about now.